Steve Hornstein graduated from UCLA with a degree in Economics/Business. After receiving a law degree from Loyola Law School and passing the California Bar exam, he went on to receive his LL.M. in taxation from Goldengate University while working at the accounting firm Deloitte and Touche, LLP. Steve is a Certified Financial Planner(TM) licensee. Steve has an insurance license and is also a Certified Public Accountant. Steve grew up in Tarzana and continues to live there with his wife Bryna, their two children, Ethan and Ella, and their two dogs, Bailey and Riley. 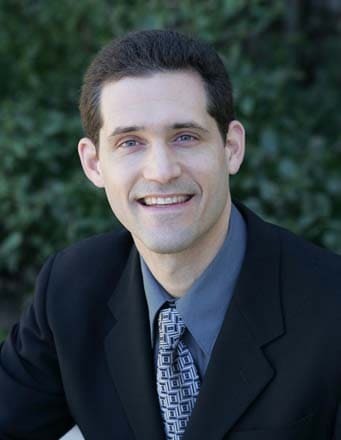 Steve is active in charitable and community organizations including the Woodland Hills Rotary, and the Woodland Hills-Tarzana Chamber of Commerce. A competitive runner, Steve enjoys running 5k races with his dogs, Bailey and Riley, as training for marathons and to raise money for important charitable causes including suicide prevention, cancer research, saving endangered animals, and providing scholarships. At Hornstein Law Offices, Steve is very involved in Estate Planning as well as Tax Preparation. Being an attorney and a CPA, Steve balances his time between the two. Focusing on taxes during the beginning of the year and then concentrating on the law after tax season ends in April. Missy Roche received her Bachelor of Arts from the University of California, Los Angeles in 1996. She studied law at Loyola Law School and was admitted to the State Bar of California in 1999. After being the Trustee for her grandmother’s Trust she decided to focus on a different area of law at Hornstein Law offices. She specializes in estate planning, with an emphasis on trust administration and probate. If clients need their trusts reviewed she is the one who handles that. She is very well versed in different types of Trusts. Her main focus is Probate. She does litigation and even travels all over California if necessary for court cases. Missy lives in Calabasas with her three children. She enjoys many outdoor activities including hiking, horseback riding and tennis. Holly L. Thornton received her Associate of Science in Legal Administration in 1996. She is a Paralegal with more than 20 years experience at Estate Planning Firms. She focuses on Trust Administration at Hornstein Law. Holly is a people person and understands the complexity many people face during the difficult time after a loved one has passed. Her knowledge of different Trusts gives her a strong ability to handle Trust Administration, which occurs after a loved ones has passed away and had a Trust in place. Holly is the proud mother of 4 spectacular young adults. She currently lives in West Hills with her youngest son and her 4 cats. She enjoys being the kind of person whose “glass is always ½ full” and plans to further her education one day by attending law school. Petra Nevarez, better known as Pat, has worked in the areas of Accounting and Management since 1990. As the Office manager she handle all in-office responsibilities including billing, accounting and human resources. Through her prior professions, she also has experience with importing and Exporting goods from Hong Kong, advertising with top magazines in New York, and has held a license with the State Board of Cosmetology and Barbering. She has been married for over 30 years and has resided in the San Fernando Valley for over 50 years. She has one son and recently her and her husband moved to Santa Clarita with their beloved dog Theo. Sarah has grown up in the Dominican Republic, Washington, D.C., Nicaragua, Ecuador and here in Los Angeles. She went to Notre Dame High School in Sherman Oaks and graduated Babson College, in Massachusetts in 2005 with a BS is Business Admin. Sarah’s father is Evan Press, Hornstein Law’s recently retired Financial Advisor. She is the legal assistant and marketing coordinator at Hornstein law. She handles many duties in the offices, and works mainly with Holly and Missy in Estate Planning and Trust Admin. Sarah lives in North Hollywood with her husband and his two kids.